Who goes there? Your colour or your life! “There are no lines in nature, only areas of colour, one against another”. In our last article we saw how birds are always under some sort of threat, and this is very often from above, which requires them to develop appropriate defensive measures to survive. So they need to develop techniques to make them invisible (or nearly). The first requirement is to match your colour to your surroundings. Or is it the other way around – choose to live where you are naturally less visible? 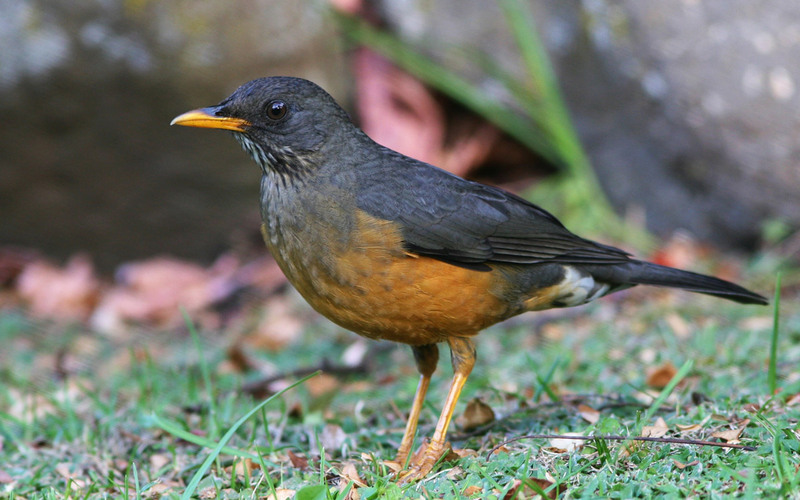 That’s why birding in our forests can be so frustrating – we seldom get to see any birds! But we know they are there, and they must have some social life – after food their next job is to procreate to maintain that essential bio-diversity which keeps our natural environment in balance. Even though they may be invisible one is still aware of their presence by the sounds they make. 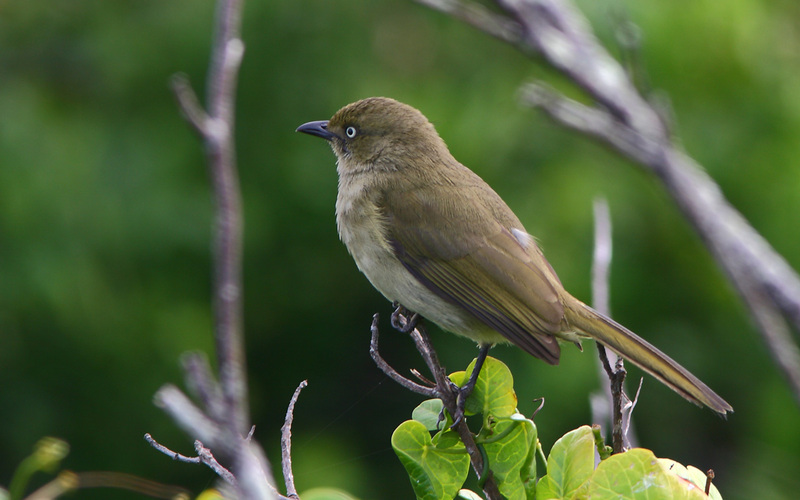 Probably the most persistent sound coming through in our forests is the call of the Sombre Greenbul (92% of lists). Throughout the year you can hear him call at the top of his voice “Willie”, and in season, “why don’t you come out and fight or are you sca-a-a-red?” (My Aunt taught me that when I was a little boy in kindergarten). or the Olive Sunbird (91%) which has a very high pitched attractive call of rising and falling notes. All these birds’ colour are a drab green/brown for defence. 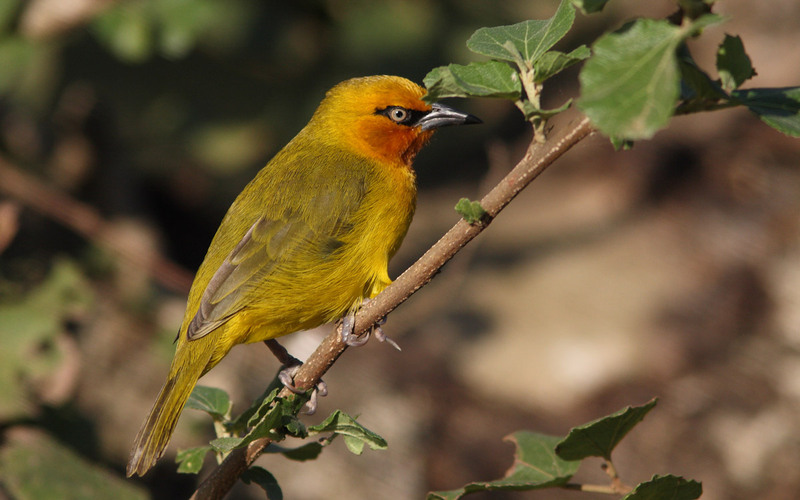 Then we have the Dark-backed Weaver (64%) (formerly the Forest Weaver) which has a call resembling a squeaky gate. 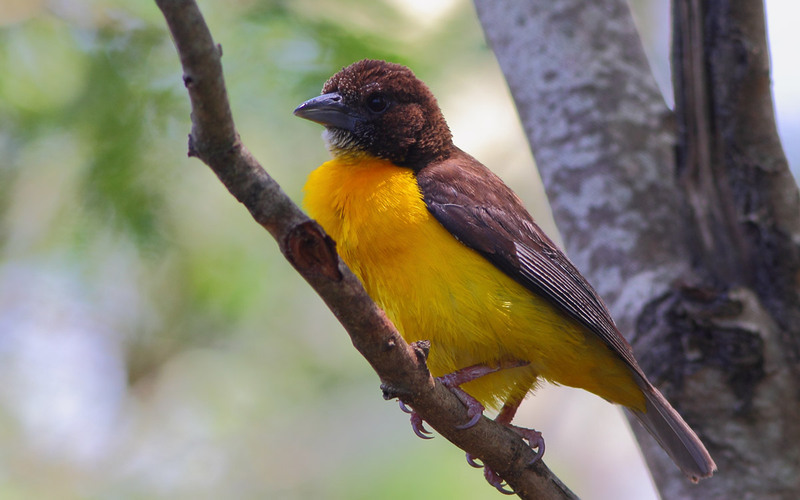 A black back from above, this bird has bright yellow underparts which are only visible from below. 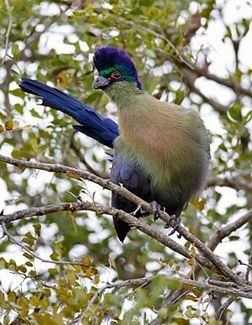 A great bird for forest parties. Reedbeds are a good hiding place. Once again frustrating for the birders. 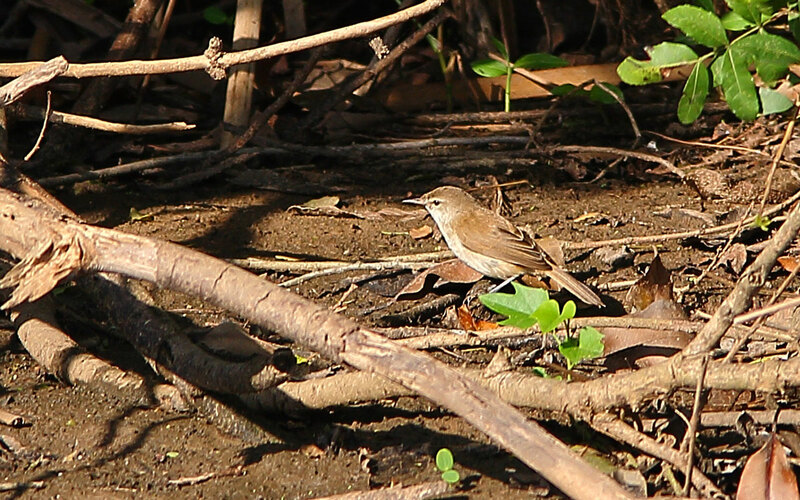 Common reed birds in our area which are almost impossible to see include the Little Rush-warbler (67%) (formerly African Sedge Warbler) (Call – an accelerating series of sharp notes at constant pitch ending with a bubbling trill which stops abruptly), and the Lesser Swamp-warbler (14%) (formerly the Cape Reed Warbler) (Call – beautiful liquid warbling notes). 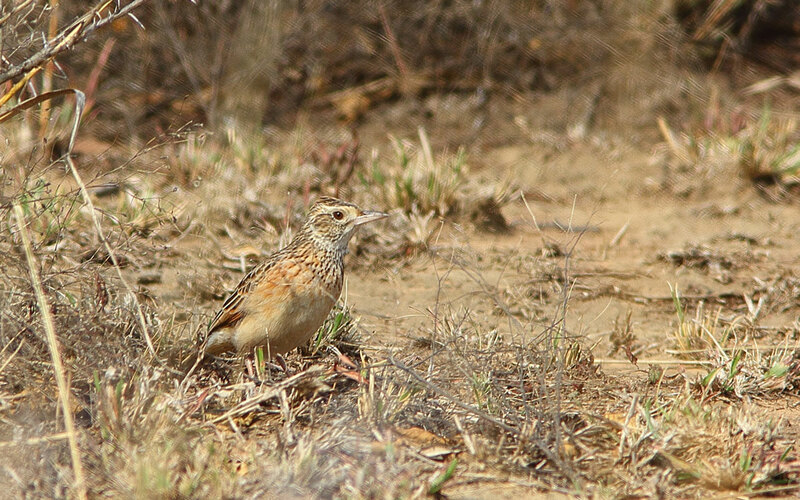 Other birds have to have different strategies to remain invisible in other habitats where there is no place to hide. 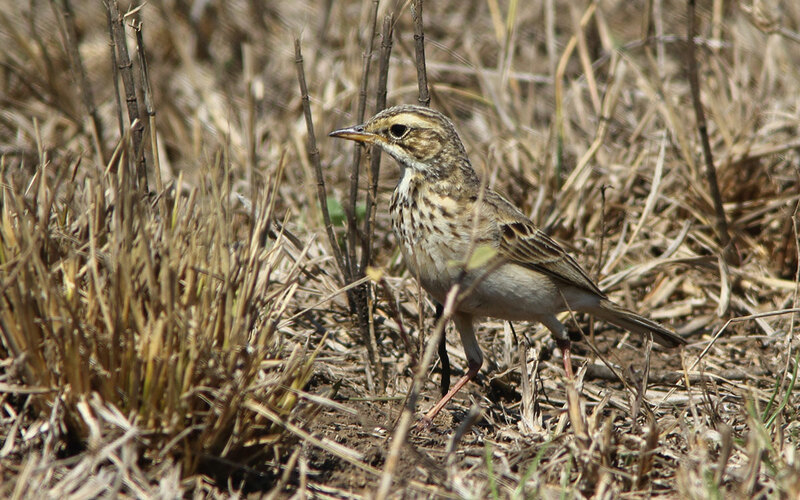 Take the grassland birds – Spurfowls (Natal 66%), Pipits (African 62%), Larks (Rufous-naped 52%), Longclaws (Yellow-throated 50%), Francolins (Shelley’s 3.5%). In the wide open spaces they are surely an easy target. But the strategy they adopt is to take the basic principle of choosing a background to suit yourself and then taking the art of blending to the extreme. Have a look at some of the cryptic patterns on the backs of the birds mentioned above. 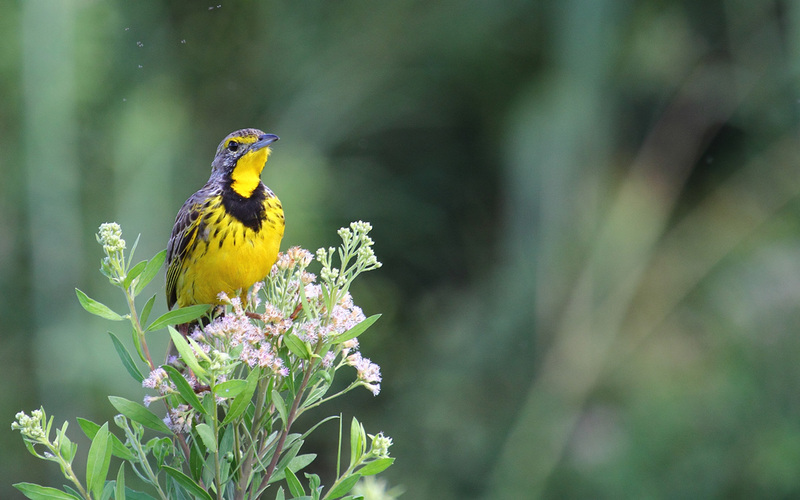 The Yellow-throated Longclaw, in particular, looks drab from above, but what a brilliant yellow throat! Now take a look at the eggs. 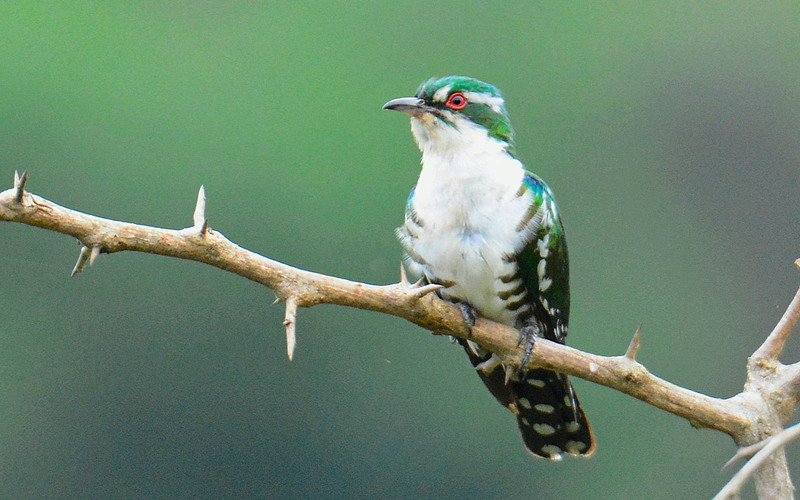 The Cuckoo eggs are larger than the host’s eggs – that is normal. 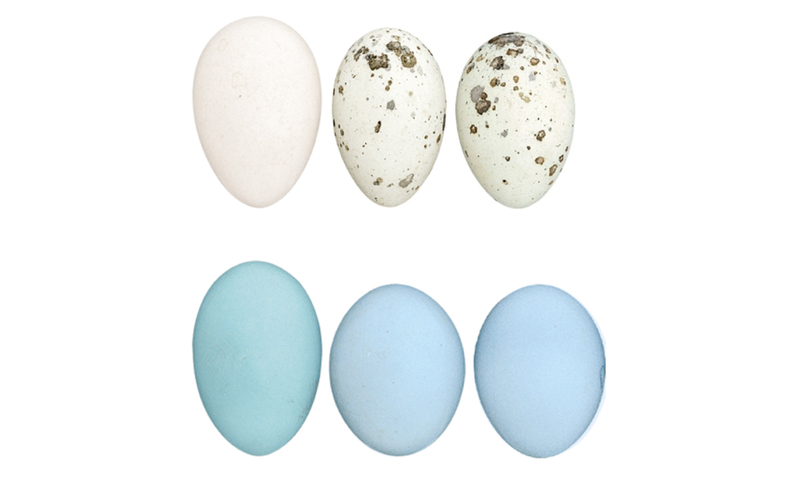 But look at the imitation eggs from the Bishop’s nest compared to the imitation Weaver’s egg. 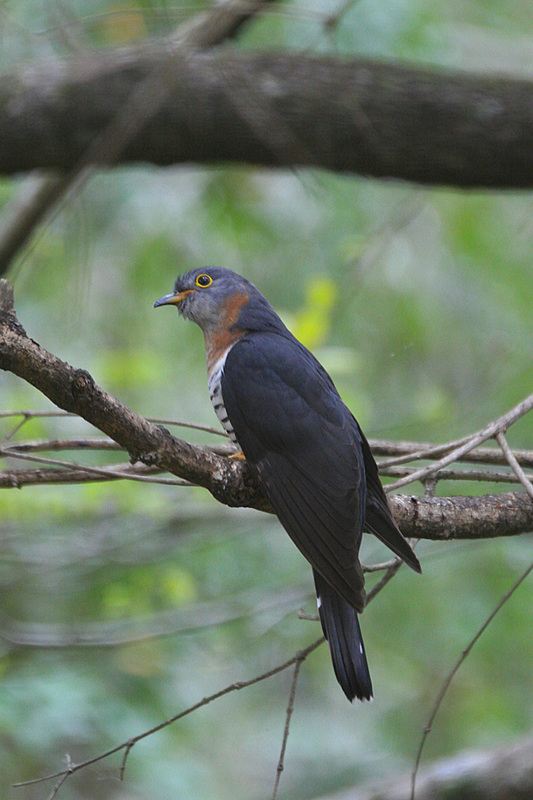 Note also the other deception used by the cuckoo. The cuckoo almost disappears into the Acacia tree whilst holding the egg in its beak! An additional photograph of the Diderick is included for a closer look at its beautiful colours! 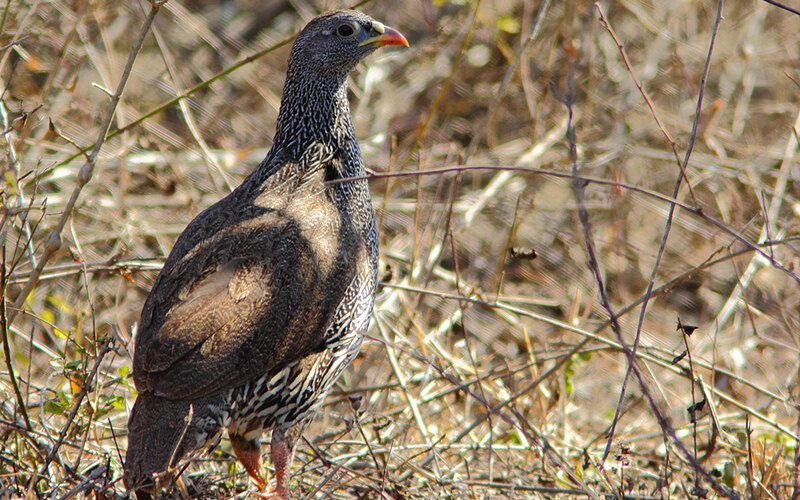 This camouflage helps her to snick in unnoticed, lay her egg, remove one host egg, and scarper. 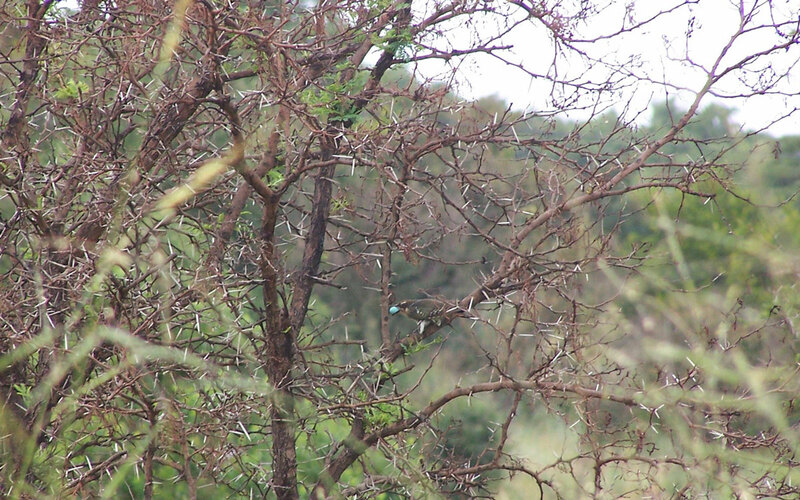 This camouflage is used by the other ‘green cuckoos’ which are common in our area, Klaas’s Cuckoo (42%) and The African Emerald Cuckoo (27%). But parasitism is not limited to cuckoos. 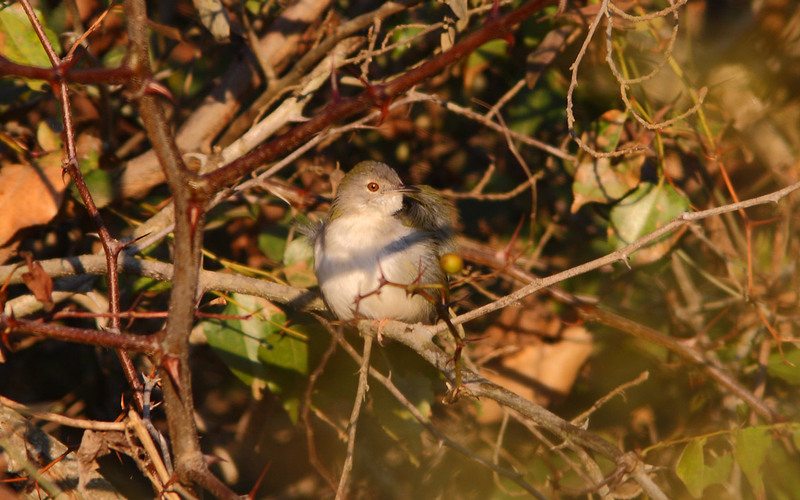 Honeyguides, Indigo Birds and Pin-tailed Whydahs have the same habit. 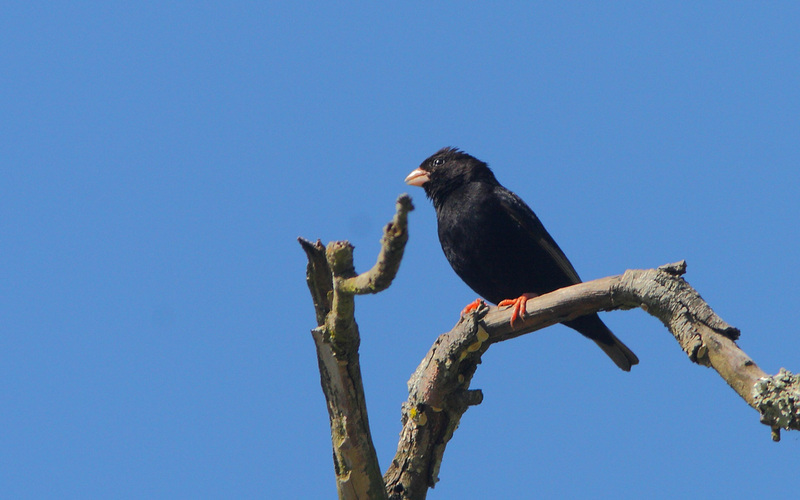 An example of this is the Dusky Indigobird (7%) (formerly Black Widowfinch) which uses the African Firefinch as host. 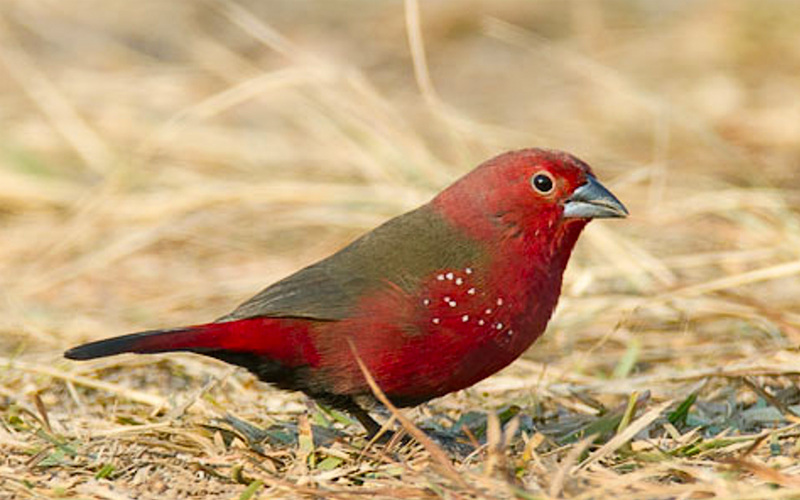 (As part of her deception she also mimics the call of the Firefinch). She usually lays 3 eggs, one per day distributed one per host. Interestingly she solves the transport problem of removing the surplus egg by eating it! Well, they are very small birds. 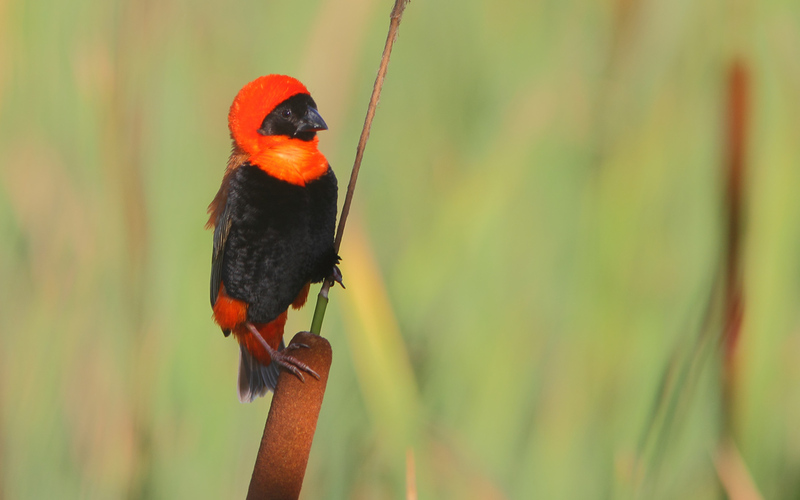 What a world of intrigue awaits us as we set out to try to understand how birds survive and thrive! Get involved and learn more. NB: the percentages shown are an indication of the population size in the area, based on the number of lists in which the species is recorded.